Telecommunications is one of the most profitable and rapidly developing industries in the world and it’s regarded as an indispensable component of the utility and services sector. Why all the M&A action within this industry? This type of activity can be helpful to Telecom companies that are interested achieving greater market share and maximizing economies of scale. The majority of Telecom Service Providers understand that M&A is a quick way to grow their footprint. 2015 was a big year for activity in the consumer broadband space. Comcast tried, and failed to acquire Time Warner Cable. After first acquiring Bright House, Charter is now engaged in attempting to acquire Time Warner Cable. French cable operator, Altice, swooped in to take over Suddenlink and Cablevision. There was a flurry of smaller, vertically-focused, or regional acquisitions. Charter Communications merged with Bright House Networks signaling the start of a push to consolidate the countries cable operators. The deal makes the combined company the #3 operator behind Comcast and Time Warner Cable. Bright House has 2.5M cable customers in FL, MI, IN, IL, CA and was purchased by Charter for $10B. Charter also purchased Time Warner Cable for $56B in cash and stock. The combined company is now branded as “New Charter” and has around 24M subscribers. They are still #2 to Comcast, but the two recent acquisitions quadruples the company’s size. AT&T acquired DIRECTV for $49B making them the largest pay TV provider in both the United States and the world with 26M subscribers. Altice, a European cable and mobile operator purchased Suddenlink Communications, a US cable company with 1.5M cable customers in TX, WV, LA, AK, AZ for $9.1B. This purchase allows the Altice Group to enter the US cable market and to diversify its portfolio of high-quality businesses. In an attempt to continue to increase US revenue, Altice also acquired Cablevision Systems Corp for $17.7B. Cablevision brings along 3.1M cable customers, 7,000 lit buildings, 5,800 route miles of fiber in northeastern United States. Verizon scooped up AOL for $4.4B, taking advantage of an opportunity to add a technology and media company to its portfolio. Lightower purchased Fibertech Networks for $1.98B, which helps to add some coverage in the mid-west as well as expand coverage in the northeast, with 30k miles of fiber, 15K on-net locations. Crown Castle made two acquisitions; Quanta Fiber Networks (Sunesys) for $1B in cash, adding 10,000 miles of metro fiber in major US markets and Access Fiber Group with 272 miles of fiber in Tennessee. GTT Communications decided to further expand their managed service offerings with two purchases; One Source Networks which brings Unified Communications, SIP trunking and managed network services for $175M, and Megapath’s managed services unit for the purchase price of $152M. Integra added 3,500 route miles of fiber from Seattle to San Diego as well as metro fiber in CA to its portfolio with the acquisition of opticAccess. Astra Capital Management joined forces with LOGIX Communications, which has been focused on growing its high-speed fiber network. Shenandoah Telecommunications Company (Shentel) acquired NTELOS for $640M adding wireless services for 300,000 customers in Virginia. X5 Solutions purchased two companies; NovaTel, a network and voice provider headquartered in Texas and Switching Concepts, a turnkey switching services company HQ’d in California. Arvig Enterprises established a new partnership with North Star Fiber to add a new dimension to the services they offer to multi-dwelling buildings in the Minnesota area. PEG Bandwidth decided to acquire the fiber assets of WL Gore & Associates, adding a 48 route mile fiber network in the northeast. Onvoy purchased Broadvox in an effort to expand its portfolio and coast to coast coverage. The new entity will offer cable, TV, telecom services, VoIP, and wireless. IPC Systems, a global provider of specialized communications and managed services for the financial trading community, purchased ASPone Networks a global network voice and data provider that offers services to the same customer base. The investment group Anderson Pacific made a move to combine assets with Neutral Path, which merged 1,300 route miles of midwest fiber assets. Mid-Atlantic Broadband Communities (MBC) a non-profit wholesale network provider acquired the Tower Services Division of Gamewood Technology Group in an effort to build a sustainable telecommunications ecosystem in rural Virginia. Birch decided to take on assets from OrbitCom, a voice and data provider in the northwest, midwest, Rockies, and southwest as well as Sage Telecom, from which they acquired certain customers in a 12-state area. Oxford Networks and BayRing Communications decided to merge to become the largest competitive telecom provider HQ’d in New England. The new company will operate some 2,000 route miles of fiber providing access to nearly 50,000 commercial buildings and data centers in the northeast. Wave Broadband acquired Reallyfast.Net, a Seattle-based internet service provider that delivers high-speed connectivity to both residential and commercial buildings throughout the area. 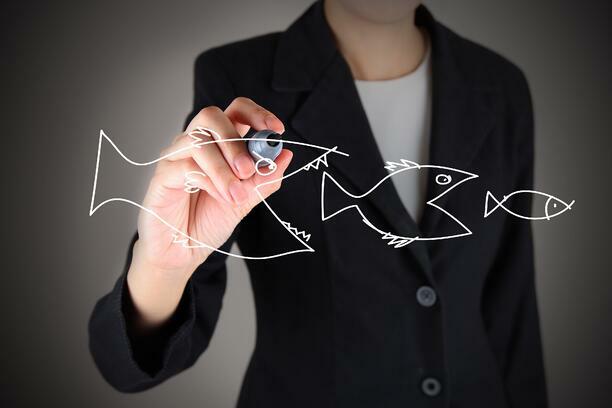 Stay tuned next week for 2015 M&A blog post number two: Network Service Providers, Global.